On June 11, 2016, Beach PC created OUR CAPE FEAR, a family-friendly Facebook page filled with positive, uplifting posts about the places and events that make the Cape Fear such a wonderful place to live and work. Unlike other Facebook pages, it does not contain any political, overtly sexual, or negative posts. 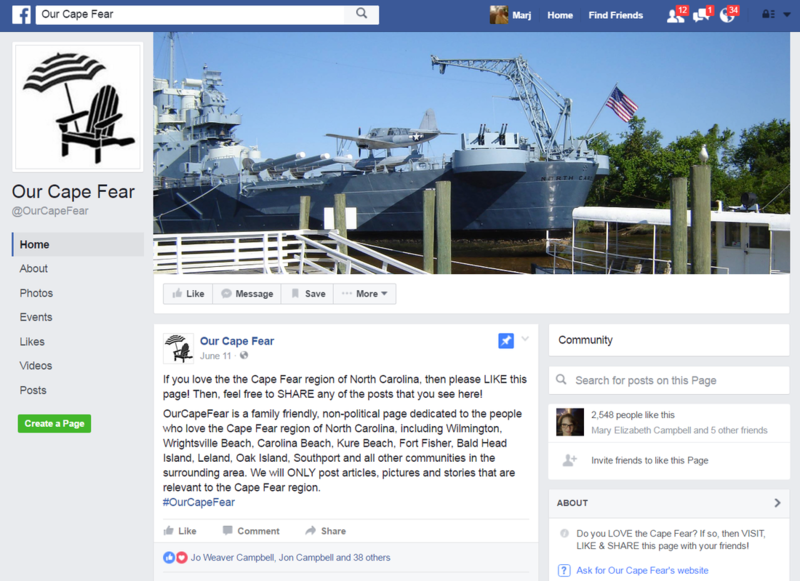 Instead, OUR CAPE FEAR is a page that Facebook users love to visit because it celebrates the very best that the Cape Fear region has to offer. The page will stay family-friendly because we have restricted the ability for others to make posts. 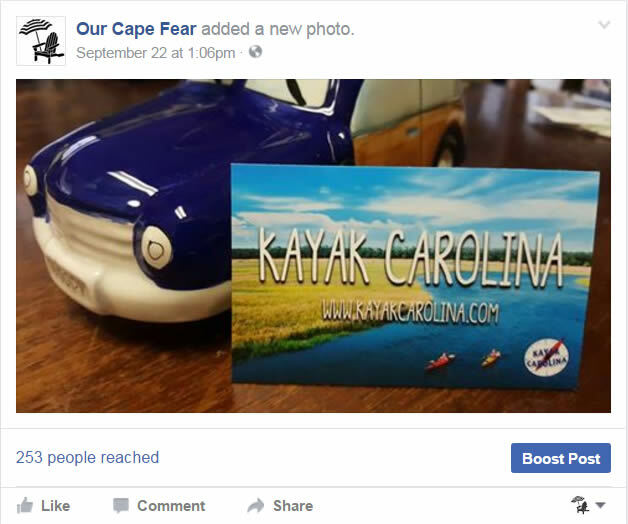 In the short amount of time since we created this page, OUR CAPE FEAR has over 2,500 Facebook Likes! To visit the OUR CAPE FEAR Facebook page, click HERE. Beach PC's new Facebook Marketing Program is designed to increase the visibility and familiarity of local organizations and businesses. 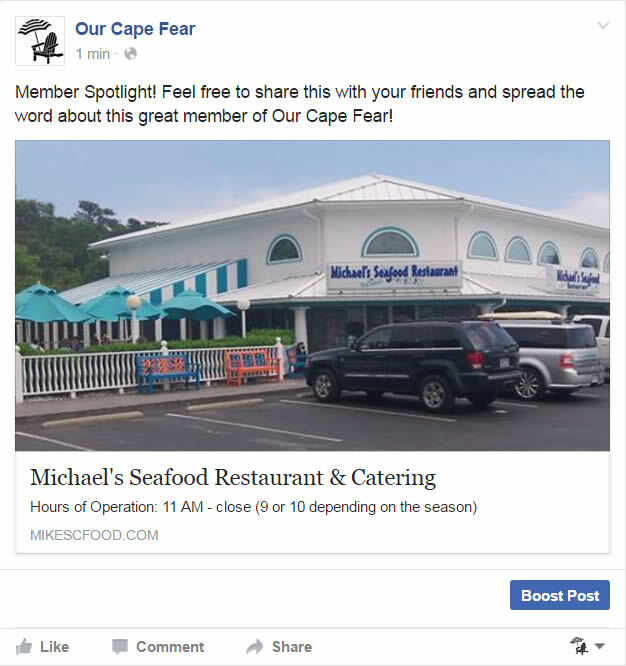 For $25 per month (no contract involved), we will create and post multiple ads about your organization or business directly onto the OUR CAPE FEAR Facebook page. Our ad insertion rate is about once every three days, resulting in no fewer than 10 ad posts per month. 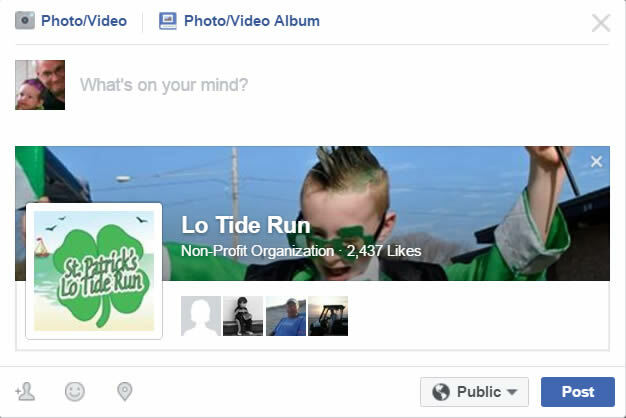 What will my Facebook ad posts look like? Taking advantage of this offer is really easy! You begin by paying for the first month by clicking on the "Buy Now" button to the right. The payment is handled by PayPal, so it's safe and secure. Complete the form describing your organization or business and what you want your ads to look like. Finally, provide us with a business card to use as one of the promotional ads. That's it. We will contact you if we have questions for you. Otherwise, we will begin running your ads immediately.